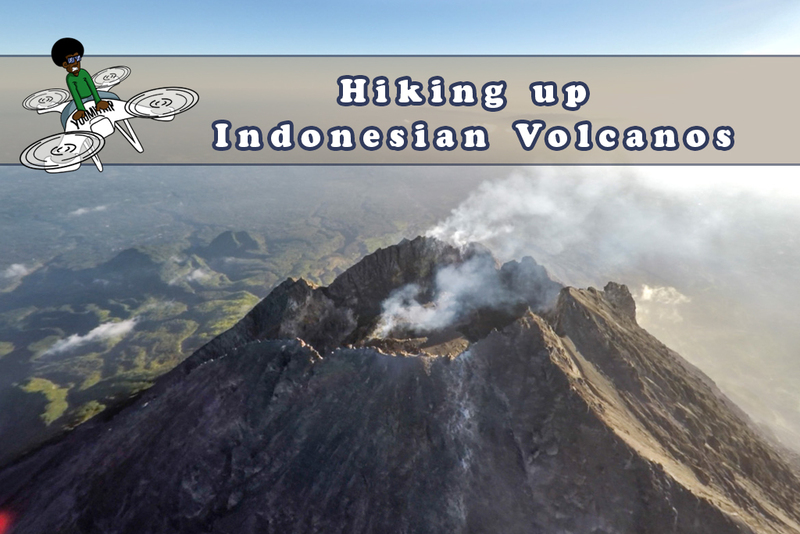 In Indonesia I dicovered my new favourite hobby, hiking up volcanos. 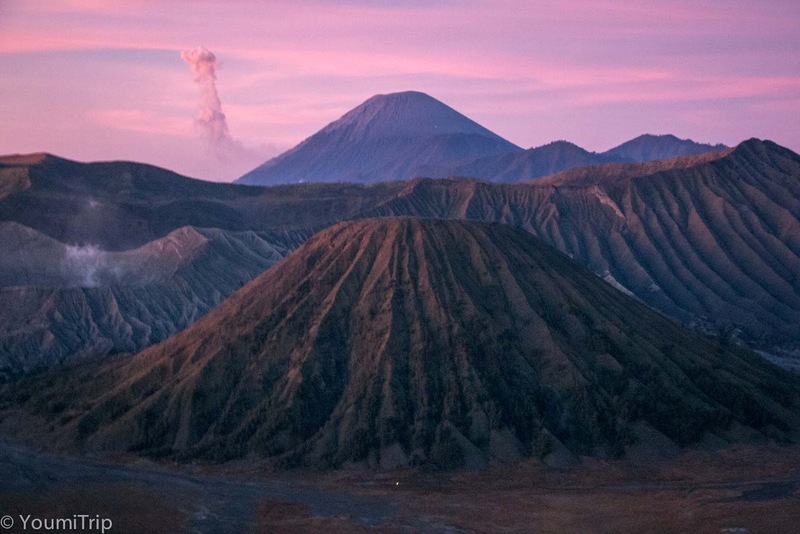 Not only is it thrilling to tell to yourself that you are hiking up an active volcano but once up there, the scenery in front of you is just breathtaking. 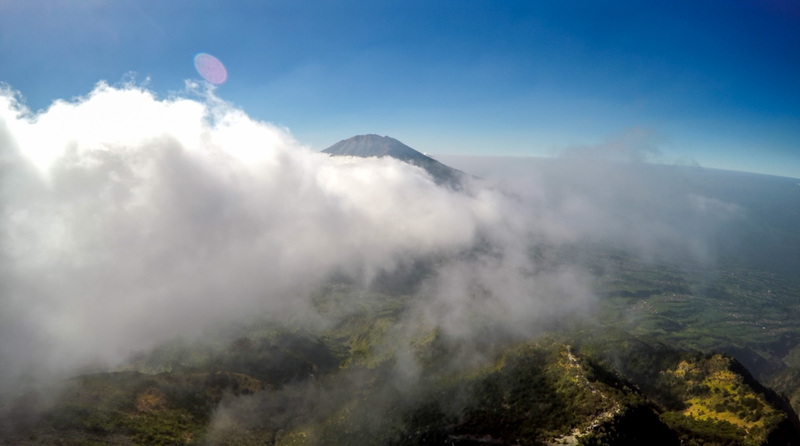 In this blog post I will talk about my hikes up mount Merapi, Bromo and Ijen. 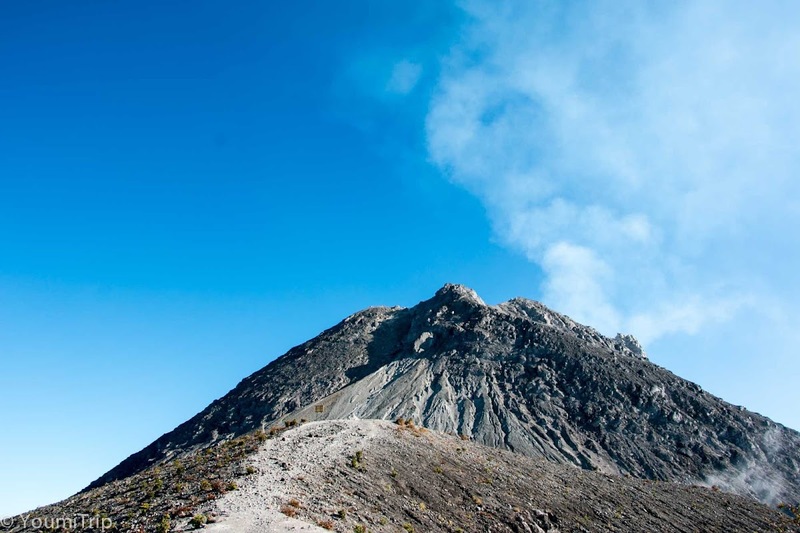 About 55 kilometers from Yogyakarta - to the north side, Merapi is not the most popular volcano of the Java island but it is nonetheless a beautiful place to check out. 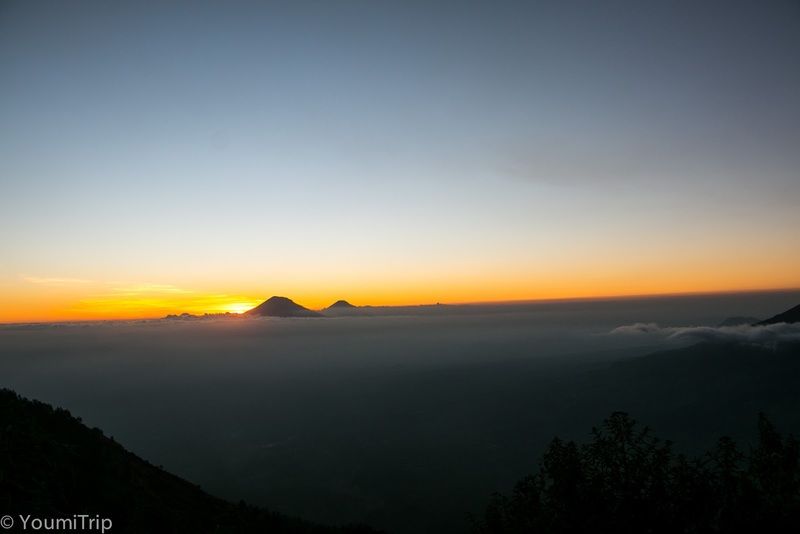 And also, every time you will hear about climbing a volcano on Java, or even in Indonesia, it will be about watching the sunrise, I saw the sunset on top of mount Merapi and it was an amazing view. I rented a scooter from Yogyakarta for 70 000 Rupiah and hit the road north. After about roughly 2 hours of nice paved roads, I reached the village of [...]. As you enter the village I took a right at the sign indicating the start of the trail to Merapi. This small road is very steep and leads you all the way up to a small parking lot where you can park for 5000 Rp. There is a few stalls where I had some instant noodles as I was quiet hungry and wanted to get some energy before starting the ascencion. It was about 2pm when I started climbing. 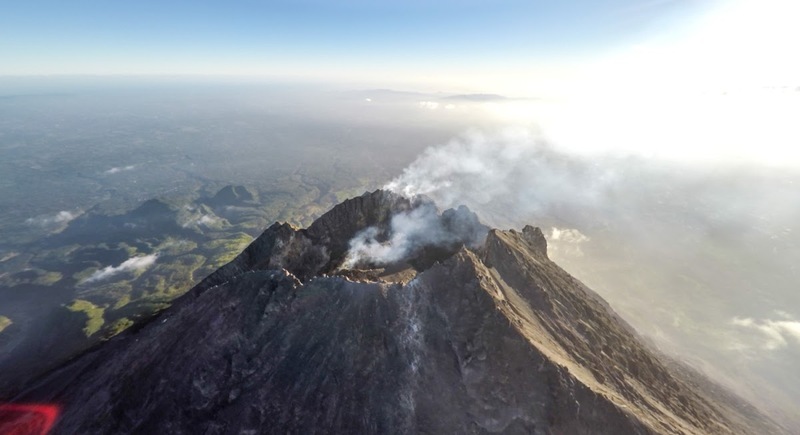 My initial plan was just to climb in order to get a nice view and be able to fly my drone, so I was not necesseraly thinking of going all the way to the base camp giving that I was starting quiet late. And the begining of the hike is very steep, I was expecting that and it hit me quiet hard and took most of my energy. After the first kilometer, reaching POS I, it is not as steep but the dust on top of the rocks makes the path quiet slipery. After POS II you get past the foresty part and can start to admire the surroundings mountains and the view. The last bit to the base camp is very rocky but once up there you won't regret it. 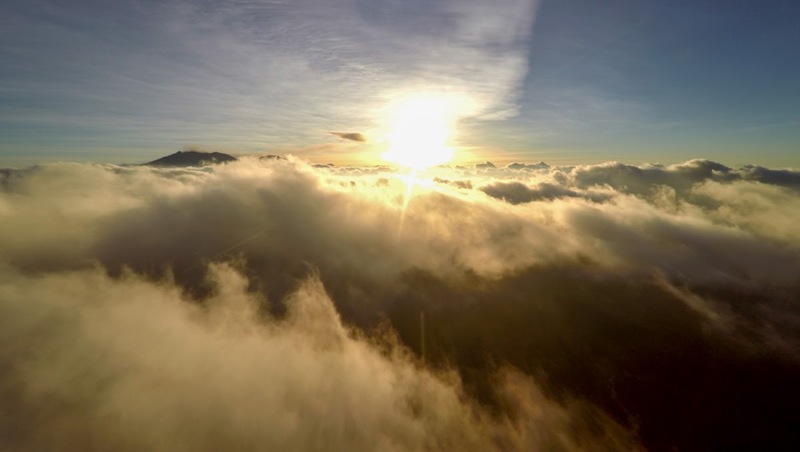 I got up there in late afternoon and was greeted with a sea of clouds and a beautiful sunset. 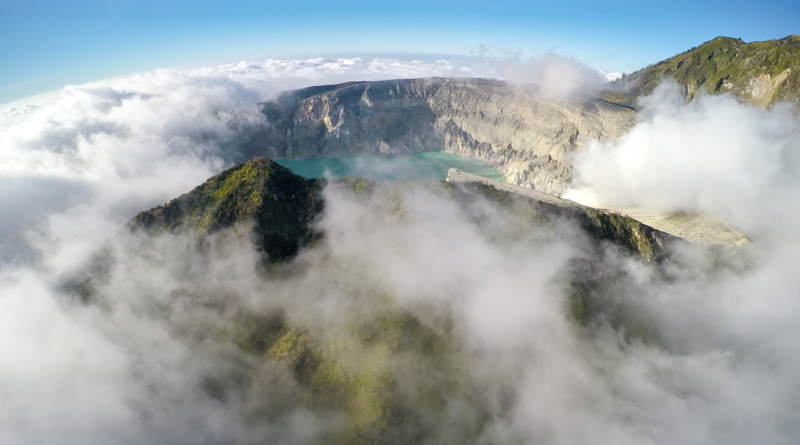 it is actually forbidden to hike up to the crater, but with the help of my drone I managed to fly up there and see wht it looked like. The hike down was another interesting journey, I only had my phone light to see, since I had not planned to hike all the way to the top in the first place, but it did a good job and I made it safe. I then jumped on my scooter and drove back to Yogyakarta. 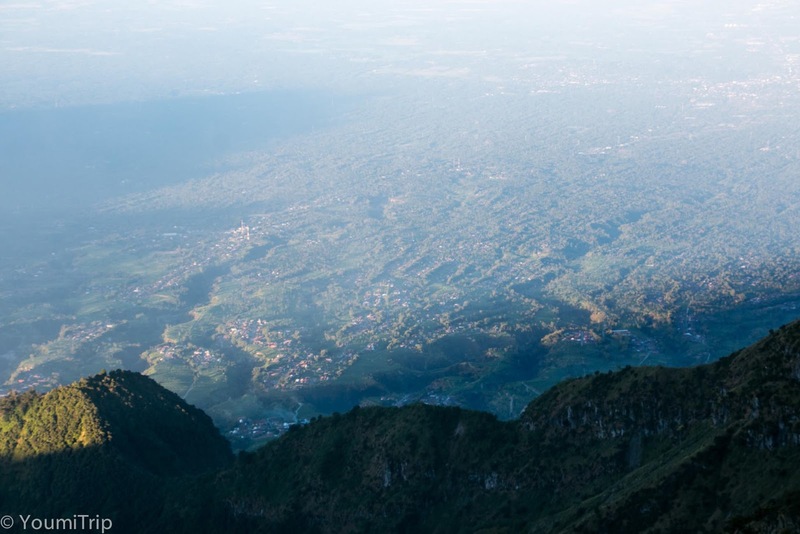 About 1h30 minutes by bus from Probbolinggo, the village of Cemoro Lawang is the closest access to the volcano. At the time I was travelling with my lovely travel mate Katharina from Germany and on the first day we wondered around and went down to the sand sea surrounding the volcano. In the village there is plenty of guest houses to stay at, cafe lava being the most popular amongst backpackers but you have plenty of cheap other options. We rented jackets for the next morning and I even found one that was long enough for me! 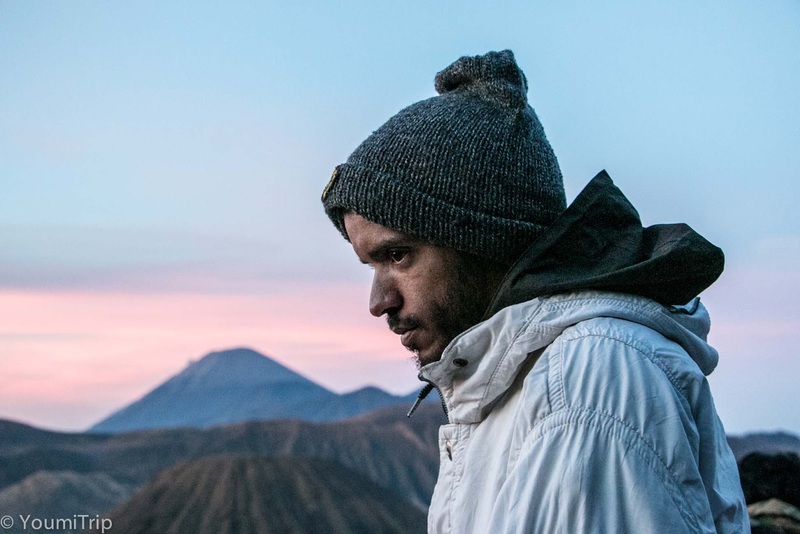 We woke up around 2am and started walking towards mount Pananjakan facing mount Bromo. If you do this with a tour, the car will take you through the sand of sea and then up to Pamamjakan, but by foot, we continued along the road that crosses the village and started hiking up at the end of it. 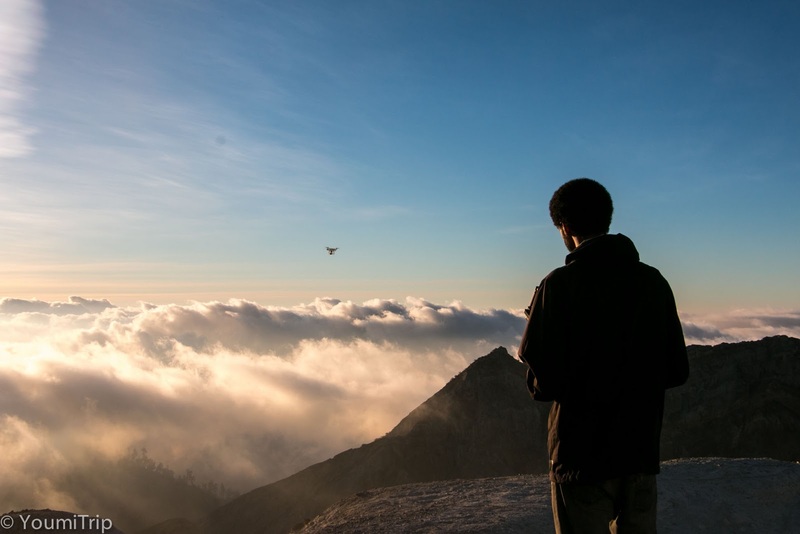 You can make it to the top from there but there is some nice, "less crowded" spots to enjoy the sunrise. We found a nice quiet spot but by the time the sun was rising it was full of people. We were told that the top of the mountain was even worse with hundreds of people and all the cars from the different tours. 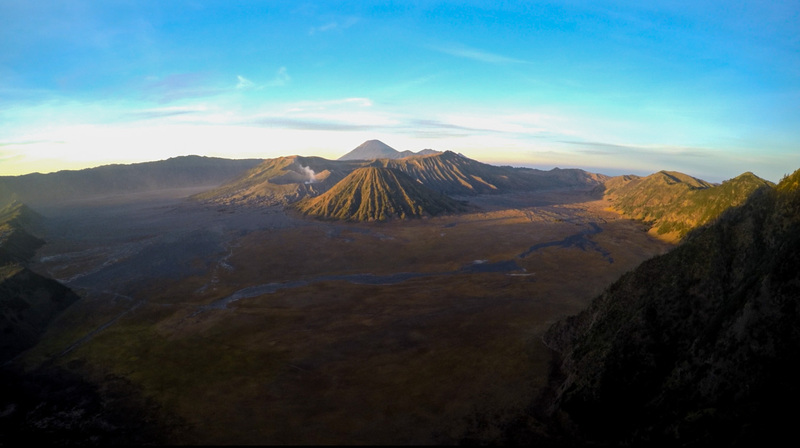 After enjoying the beautiful sunset we hiked all the way down in the valley to the sand sea to hike to the Bromo crater. Hiking Bromo will take you 15 minutes, 10 if you're fit :), but it's just up the stairs. 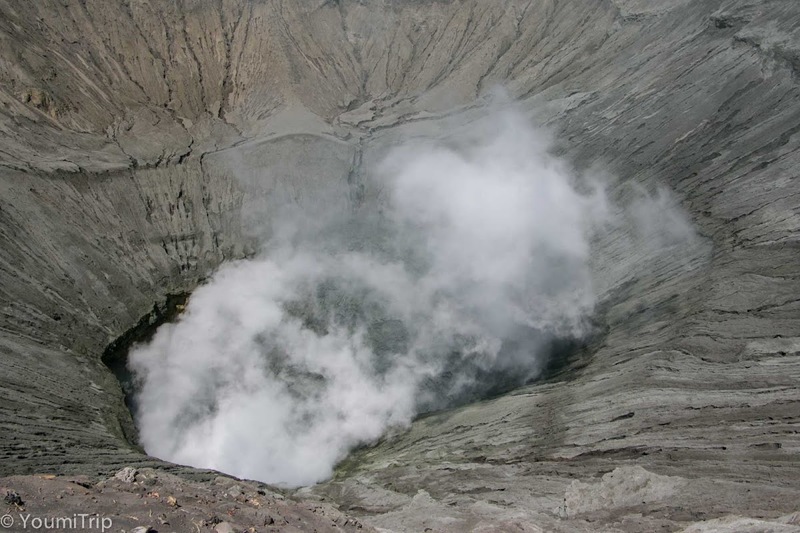 And from over there you'll have a nice view of the very active and boiling crater. The smell of sulfur is quiet strong but not unbearable. 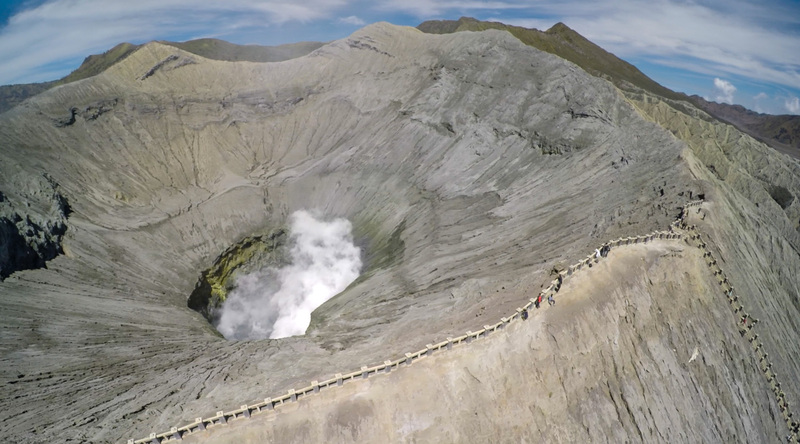 I flew my drone right above the crater and even flew down pretty low but I had sweaty hands while doing this. I got some nice footage. After heading back to the guest house we took a bus back down to Probbolinggo. My favourite, from every point. 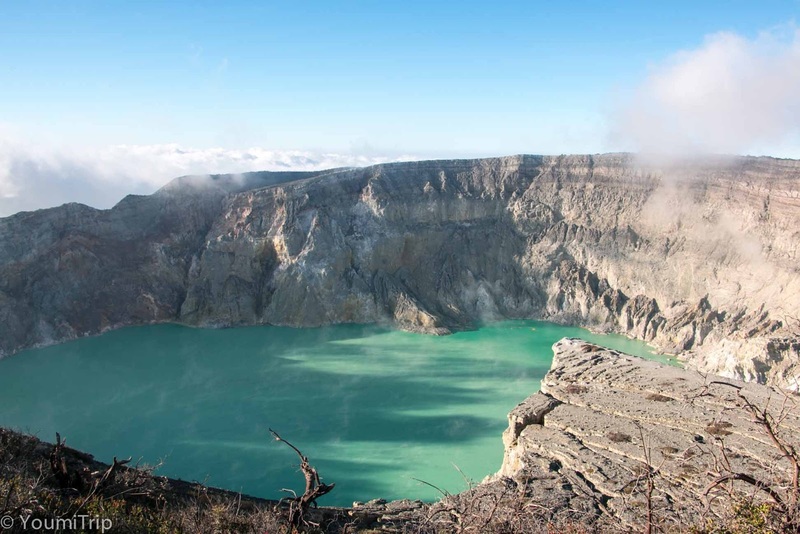 The view, the crater itself, the way there, it all was such a great journey from start to finish. At first, I was not so excited to drive to the base but in the end I am really glad Katharina convinced me to get up there. 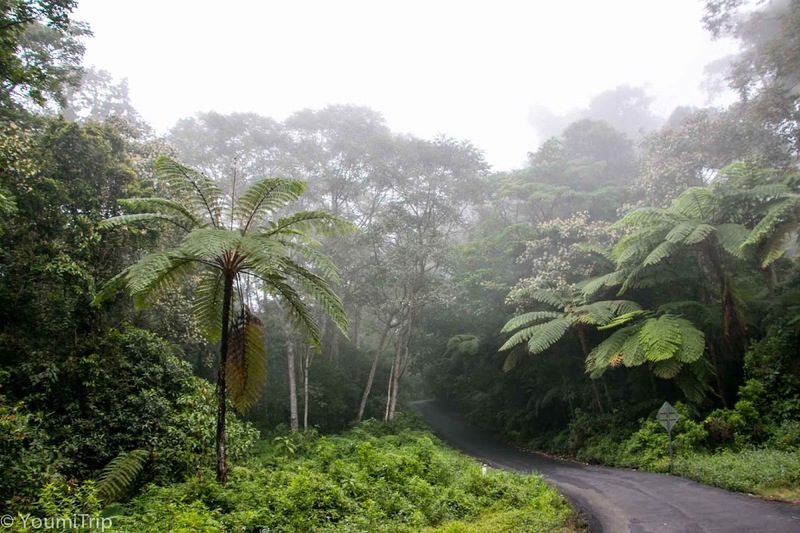 We took the road from Banyuwangi, and although you may read that it is not in great shape, work must have been done recently because it is in perfect condition, especially the last 17 kilometers where it can get very steep. We left in the afternoon because we wanted to see the sunset. The 3 kilometer hike up is quiet steep for some parts but overall not too hard. Once at the top you will not regret the effort. 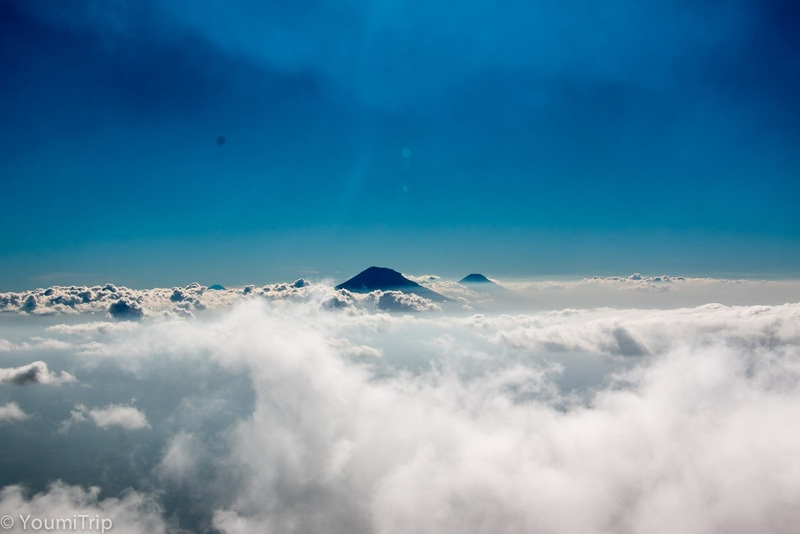 It was just amazing, we were literaly above the clouds. I got to see probably the most beautiful sunset I have ever seen. We drove back at night time and by driving carefuly and slowly it all went well, But take some warm clothes if you plan to do the same as it gets quiet cold at night.